Realtime charts of multiple choice questions including likert scales, emoji ratings, star ratings and your own options. All free input answers are listed for easy analysis including text, image, video and other format questions. 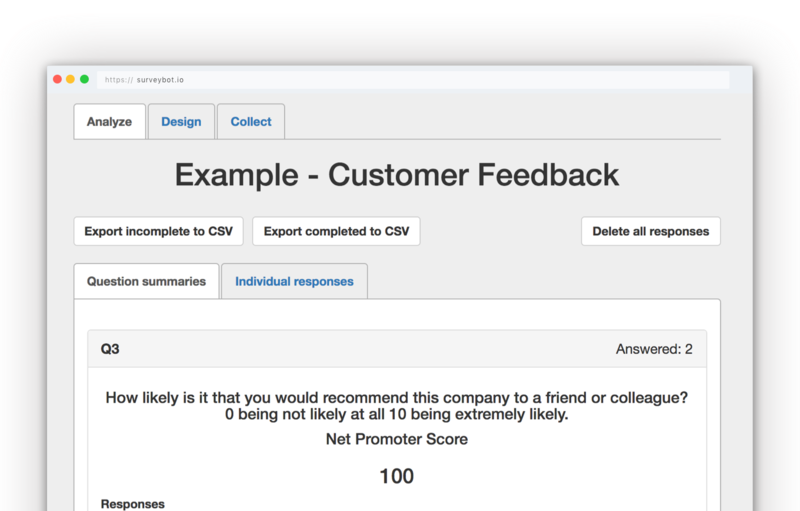 Net Proter Scores are automatically caluclated for your with your rating and a breakdown of detractors, promoters and neutral. 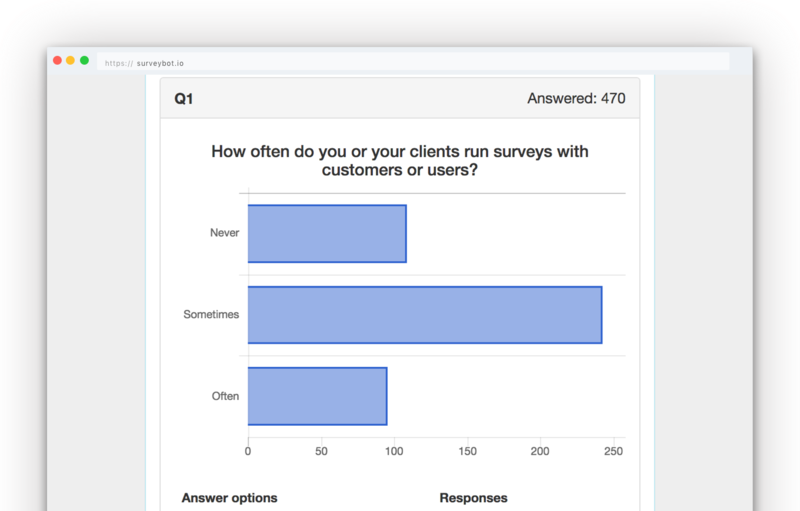 Easily browse through all the individual survey responses for any given survey. View individual panel members profile and get an overview of all the surveys they've answered. See all the profile fields for any given individual above their survey answers. 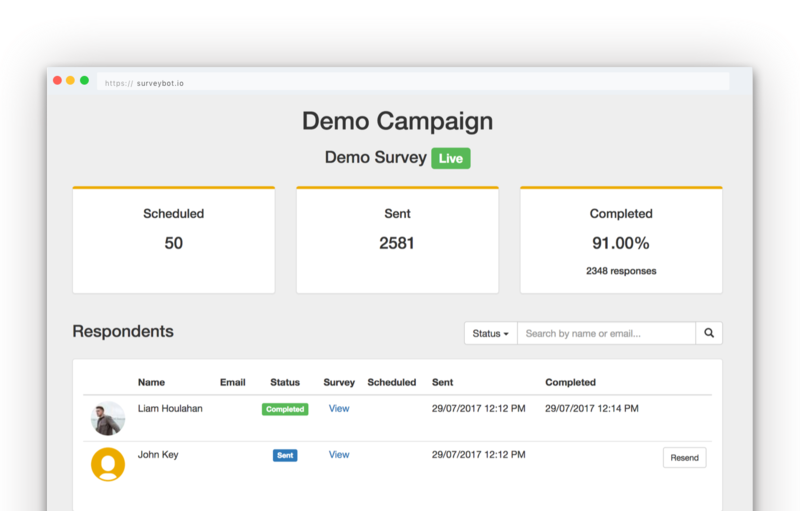 Export all of your survey responses with respondent profile fields and question answers to analyze outside of Surveybot. Export your survey responses that have been completed to the last question. Export all of your survey responses that haven't been completed for closer analysis. 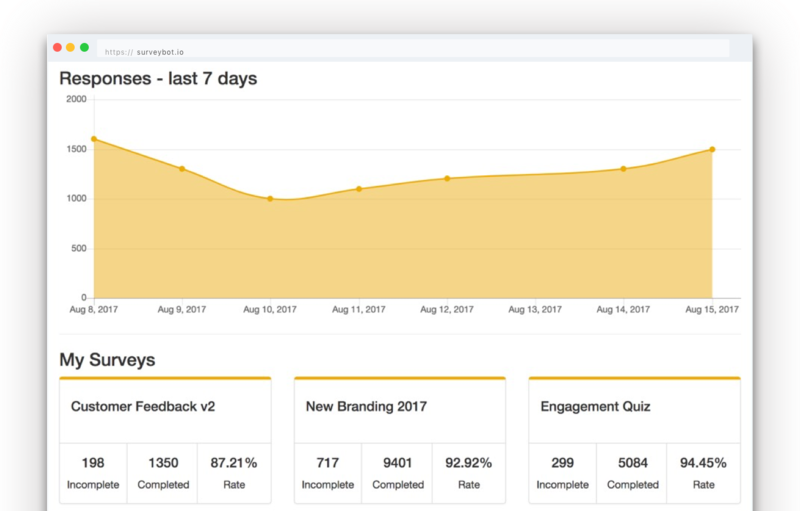 Track the performance of your Surveybot campaigns based on the survey response completion rate. Get an overview of all the respondents included in your campaign and the current status of their survey. Manually re-send your surveys to campaign respondents if they haven't completed their surveys yet. Monitor the total responses across all of your surveys for the past 7 days. Track of all your current surveys and their individual completion rates. See your latest responses from individuals for all your surveys as they are completed. 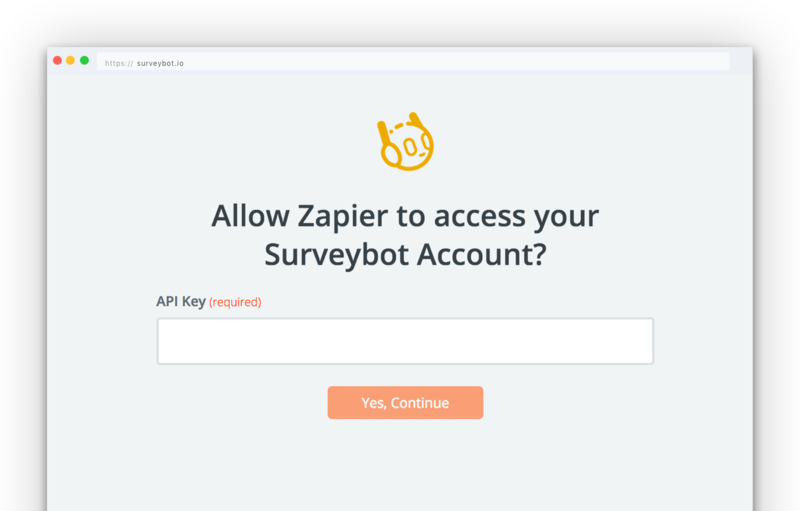 With Zapier Integrations you can connect your surveys to send data to over 750 different apps. 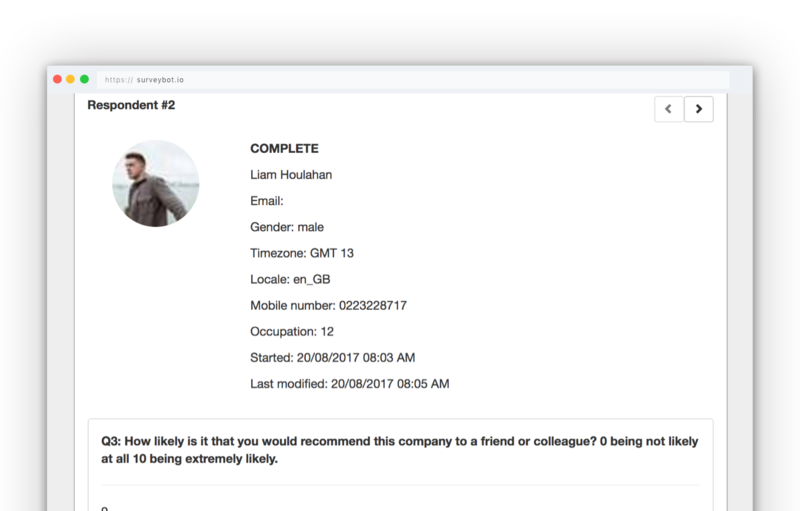 Access all widely used CRM systems to integrate survey responses with your Customer Relationships. Setup integrations for each of your surveys.